Clock out, finish your last minute shopping, pack if your heading out of town. The day before a holiday is always chaotic, and you are guaranteed to have a million things on your brain. If you are this year’s Thanksgiving host, it’s even worst. What am I going to cook? What should I cook first, and what should I save for the end? How will I keep it warm? Do I have enough food? The list goes on and on, and can drive you insane. Well don’t fret! Teresa has a few Thanksgiving tips to make the cooking experience just a little bit better. 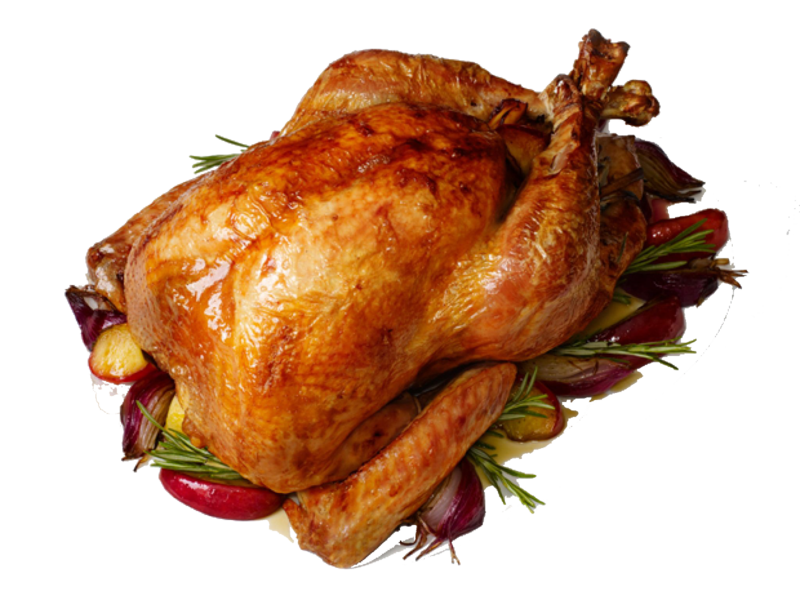 Tip #1 - The Turkey Flavor: Make sure you season UNDER the turkey skin to get the most flavorful results possible. It’s no secret that regardless of the size, turkeys are HUGE, and there is nothing worse than a beautiful turkey will great tasting skin, and no flavor on the actual meat. Depending on your preferred taste, there are many different things you can use. Teresa’s preferred seasonings are salt and pepper, fresh or dry rosemary, thyme, basil, olive oil or butter which creates a self-basting method. So don’t be afraid to rub that baby down on the outside and inside of the skin, give that turkey some TLC! Tip #2 – No Dry Turkey: Now that you know how to make sure the meat is boasting with flavor, the next thing you need to be concerned about is the moisture within the meat. No one wants to sit at the table and choke on dry turkey. To get a nice tender and moist turkey, Teresa soaks cheese cloth in chicken broth and places it over the breast to prevent it from drying out. You can get cheese cloths at any grocery store for just a couple bucks. Tip #3 – Don’t Let Side Dishes Stress You Out: In a perfect world, your entire Thanksgiving meal will be fresh out of the oven all at the same time, but unless you have multiple stoves, crock pots, and warmers that is probably not going to happen. To alleviate some of that stress, make as many of your side dishes the day before. Sides are not as hard to warm, and will not dry out like meat will if you reheat it. Plus, most things taste better the next day anyway because all of the flavor has a chance to marinate. Tip #4 – Send your Sweet Potatoes to the Sauna Not the Jacuzzi: When cooking sweet potatoes most people automatically want to boil them. Boiling them is a very effective method of cooking them, and is probably the faster way to cook them, but if you are going for a tastier sweet potato, cook them in the oven! Tip #5 - Don't Forget the Reason for the Season: While you're in your cooking frenzy, don't forget the reason your cooking. To spend time with your loved ones while enjoying a great meal. Relax, don't stress to much, and take in all of those special moments. Think about all the things you are thankful for. What are some of your favorite Thanksgiving cooking tips! Leave us a comment with some of your tips. Sharing is caring! 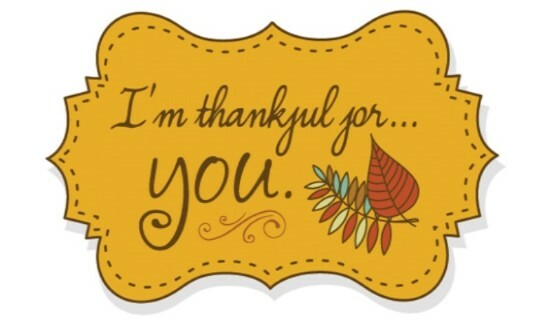 #ItsAFoodieThang is thankful for YOU our followers! These were all such great tips! I love to get some rosemary twigs, lemon, and butter up in my turkey for flavor. 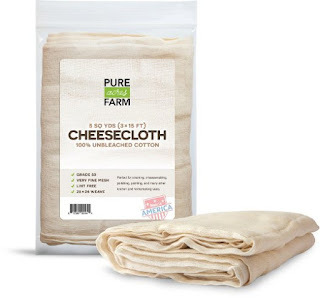 But I have never heard of using cheesecloth to keep it from drying out. I am definitely trying that the next time I bake turkey. Thank you for all of the great tips, girl! !